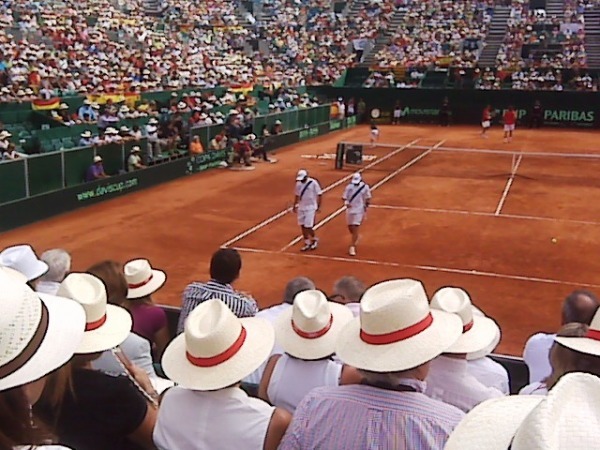 In September 2009 I was one of the lucky people that traveled to the Tennis Davis Cup semi-final games in an amazing golf resort in the coast of south east Spain. It was indeed a big deal to decide to go since it was during Rosh Hashana! I am involved in Israel tennis since the Daniel Hotel sponsors the Tennis Association for the past four years and we have been privileged to be part of incredible experiences and unbelievable wins in the past years. The Daniel Hotel in Herzelia has hosted countries such as England, Italy & Chile. The recent win against Russia in Nokia’s stadium in Tel Aviv last July was a real peak and having both teams in our hotel was amazing. 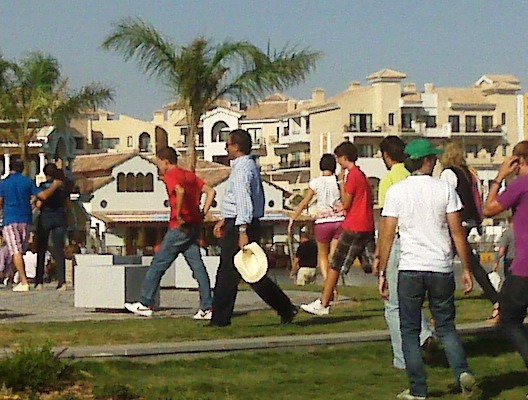 So of course it was just natural to join the Israeli team again in Costa Blanca – Murcia, against the Spanish team. I knew I would witness the highest level of tennis worldwide and we Israelis being part of it all. What a different trip it was! Yes we lost the tennis games in the end but it was worth every effort and penny. The journey was long and tedious. We arrived at 03:30 in the morning to a remote resort in the middle of nowhere and yes – Iberia lost our suitcase. Luckily they arrived the next day just on time for the games. Immediately I realized I made the perfect decision by choosing the most expensive hotel. The Resort is called Intercontinental La Torre Golf Resort – newly opened less than a year ago and built in the middle of a beautiful lagoon & golf course area surrounded by holiday villas and restaurants, stores, supermarkets, travel agencies and more. I could see the game stadium (15,000 people) from my balcony! I immediately started speaking Spanish to just everyone I could find – the driver, the hotel staff, the Davis Cup staff and fellow hotel guests and tennis fans. I grew up in Puerto Rico and for 22 years living in Israel and married to an ex-American I miss the Spanish language. I visited Madrid and Barcelona many times but believe me – these Spaniards outside of the major cities are much friendlier. Of course i made sure to have Spanish tortilla (potato omelet), tapas and drink my Mojitos & Sangria. What can I say: sometimes we get this “one in a lifetime” opportunity. It is amazing how travel can bring out the best of everything – for me it was my favorite sport hobby, my Spanish/Latin tradition roots & my passion for a great hotel!